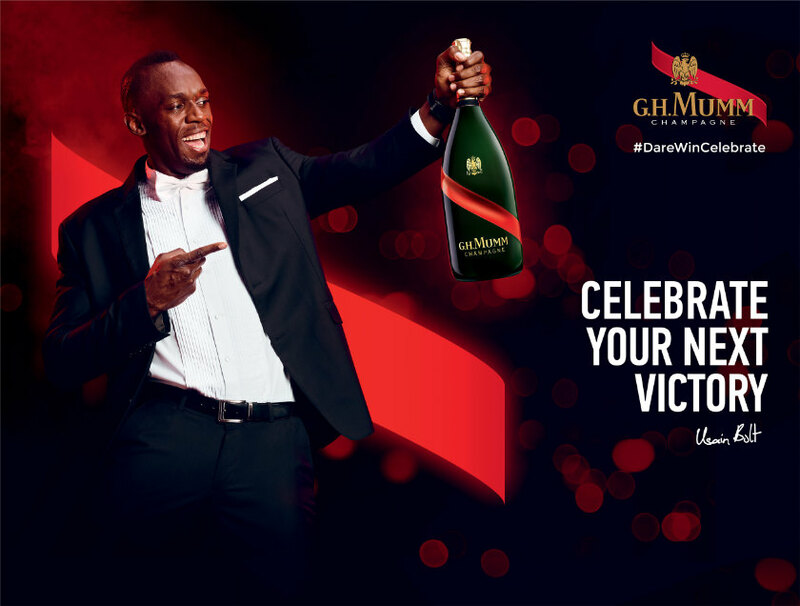 Once the greatest sprinters of our time, the Hon Usain Bolt, appears in Maison Mumm’s latest promotion as the company’s spokesman, or, in Mumm’s parlance, ‘Chief Entertainment Officer’. 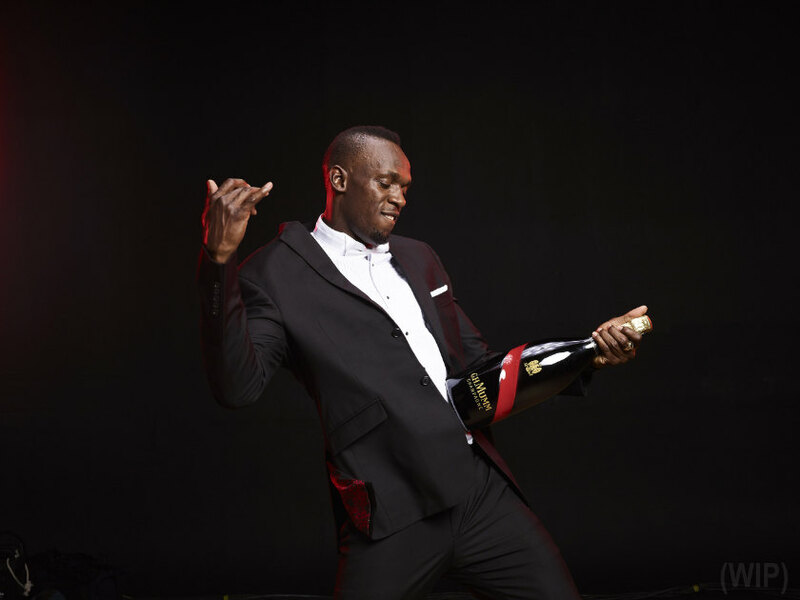 The latest advertisement sees Bolt break out some dance moves, and performs on the stage with TV presenter and former Miss Universe Jamaica 2010 Yendi Philipps. The spot was directed by Luis Cervero. 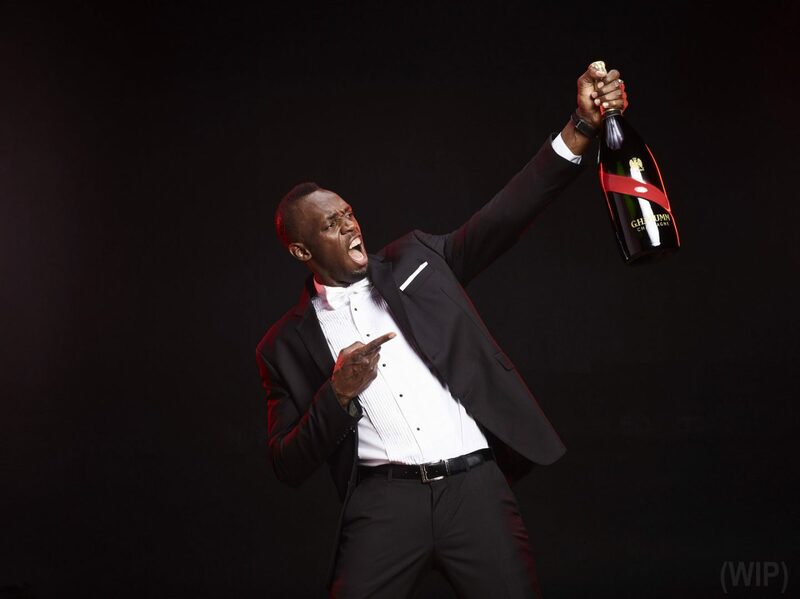 Bolt removes his coat and suit to reveal his racing gear at the end—showing that the celebration preceded his race. The reversal is intentional. The message, ‘Don’t win to celebrate. Celebrate to win,’ emphasizes having a positive mindset, an extension of the brand’s ‘Dare. Win. Celebrate’ values. While Mumm is known as the celebratory champagne after sporting events, the spot suggests that everyone can celebrate life.